Kent Police FB Page: Peaches has been reunited! 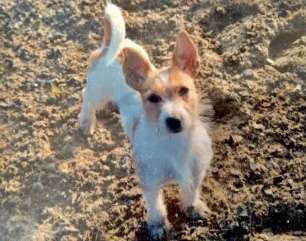 Peaches, a five-year-old Jack Russell, is reported to have been stolen in April 2015 after she went missing while walking in farm land. 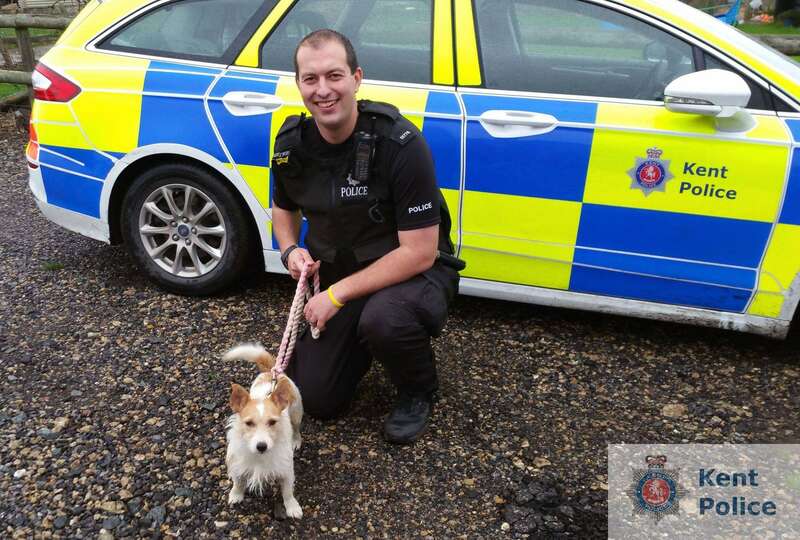 She was returned to her owners on Sunday 25 November after Kent Police received a report she had been located in St Leonards-on-Sea. When Peaches was reported missing a man is reported to have called her owner’s demanding money in exchange for her safe return. Our officers conducted numerous enquiries to attempt to locate the dog, including checking for CCTV and speaking with other police forces that had received reports of similar offences. Her owners also put out a series of posters in the local area as part of an appeal for information. Despite their best efforts Peaches could not be located and the report had to be filed, pending further information coming to light. Further information came to light on 25 October 2018, when her owner received a notification advising her someone had attempted to re-register her stolen dog. Officers assessed the circumstances and established that Peaches was living at an address in St Leonards-on-Sea. The Rural Task Force then arranged for Peaches to be collected and returned her to rightful owners on Sunday 25 November 2018. No arrests have been made in connection to this case and officers are conducting ongoing enquiries to establish the full circumstances. Police Constable Nathan Southern, from the Rural Task Force, said: ‘We’re really pleased that we have been able to locate and return Peaches. ‘When she was handed over she was thrilled to be back with her family, including another dog that recognised her after all this time. ‘This case highlights the importance of having your dog microchipped with an accredited company and keeping the details up to date.